The State of Wisconsin extends a number of financial incentives to employees through the Well Wisconsin employee wellness program. If you are covered under the State of Wisconsin Group Health Insurance program, you and your spouse (if covered under the State Group Health Insurance Program) are eligible for the $150 Well Wisconsin incentive if you submitted a health screening result to StayWell, completed the StayWell health risk assessment and a Well-Being activity by October 19, 2018. StayWell is the State of Wisconsin wellness program administrator. Additionally, depending on the health plan you are enrolled with, you may also be eligible for financial reimbursements for wellness related expenses such as gym memberships, fitness classes, the cost to participate in Community Support Agriculture (CSA) programs and rewards for participating in health or wellness programs or challenges. Per guidance from the federal government and the Internal Revenue Service (IRS), the wellness incentive benefits are classified as taxable fringe benefits. This means that any financial incentive you receive from the program is taxable income for state and federal tax purposes. Financial incentives will be reported as taxable wages and subject to applicable withholdings and taxes. You will see withholdings for all incentives issued in the current calendar year reflected on your August or December pay stub. This will include incentives issued to your eligible family members. Withholding may include 7.65% for Social Security and Medicare if the employee is FICA Eligible and may include federal and state withholding, depending on the number of exemptions you claimed on your W-4. *Note some individuals may have hit their Social Security Tax maximum in 2018 ($7,960.80); and therefore, they may only have Medicare Tax withheld. Federal regulations require your employer to receive financial data regarding incentives issued to employees and their covered family members. Your health information is protected by federal privacy regulations and is not shared with your employer. Even with the federal government’s tax regulations, eligible employees and their spouses are able to receive substantial financial rewards for using the wellness incentives offered by the State of Wisconsin and participating health plans. 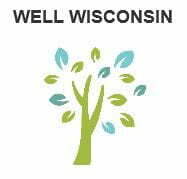 For questions about the $150 Well Wisconsin incentive, contact StayWell at wellwisconsin@staywell.com. For questions about incentives provided by your health plan carrier, contact your health plan carrier directly. If you have additional questions, contact wellness@uwgb.edu or ext. 2203.